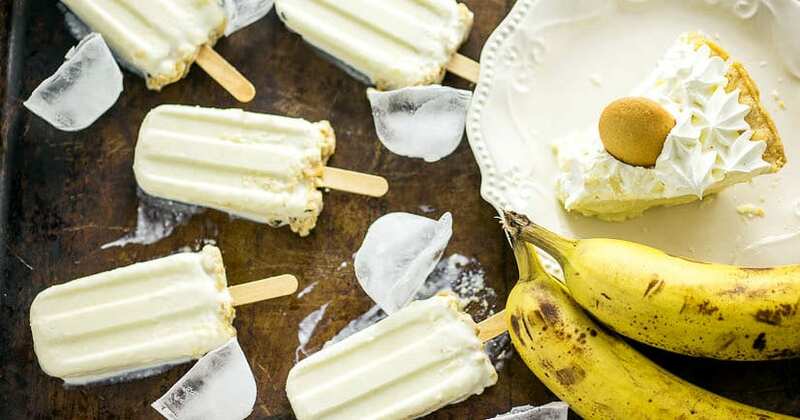 Taking Banana Cream Pie to the next level, these Banana Cream Pie Popsicles will keep you cool and satisfied on a hot summer day. 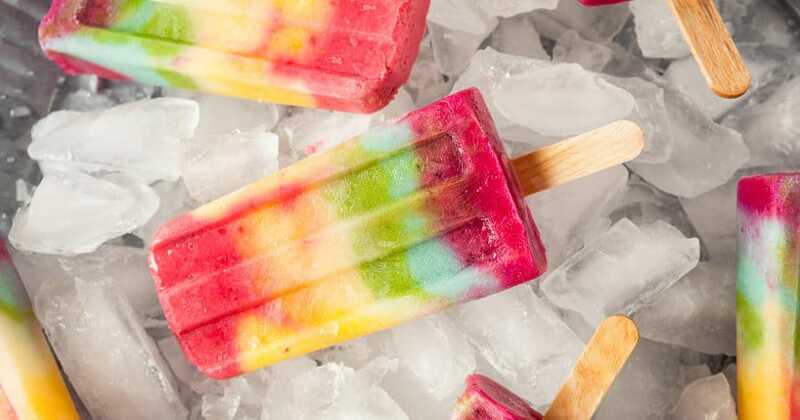 Just 4 ingredients to make this quick and easy popsicle recipe! Banana Cream Pie is probably one of my favorite pies out there (although, it’s really hard to choose. All pie is pretty delicious…). But banana cream pie with its creamy sweetness with just that hint of freshness from ripe bananas really takes the pudding. 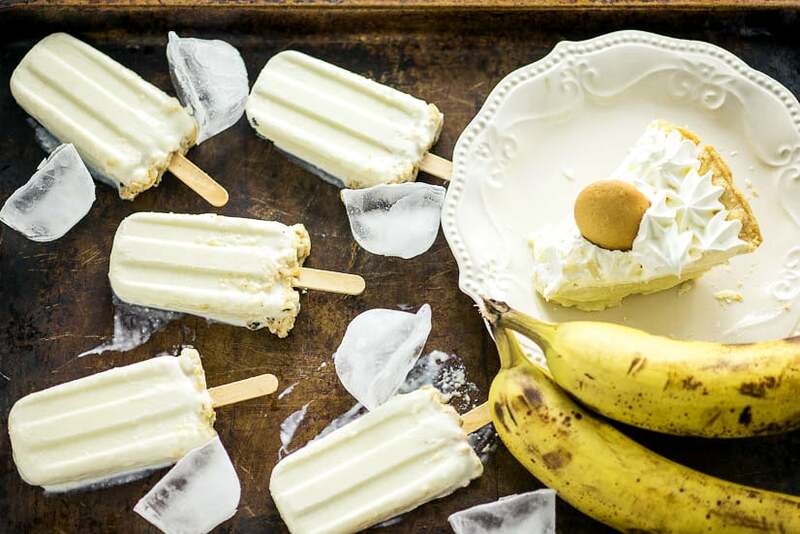 Or the popsicles, as the case may be in these Banana Cream Pie Popsicles! Last year I had an amazing opportunity to head out to Chicago and to attend a really fun event with Marie Callender’s, where there was great music, great food, and most importantly amazing dessert. The dessert was from Marie Callender’s where they made amazing yummy pie-inspired treats for Summer (you can find more of them, plus a couple of my own innovations HERE). 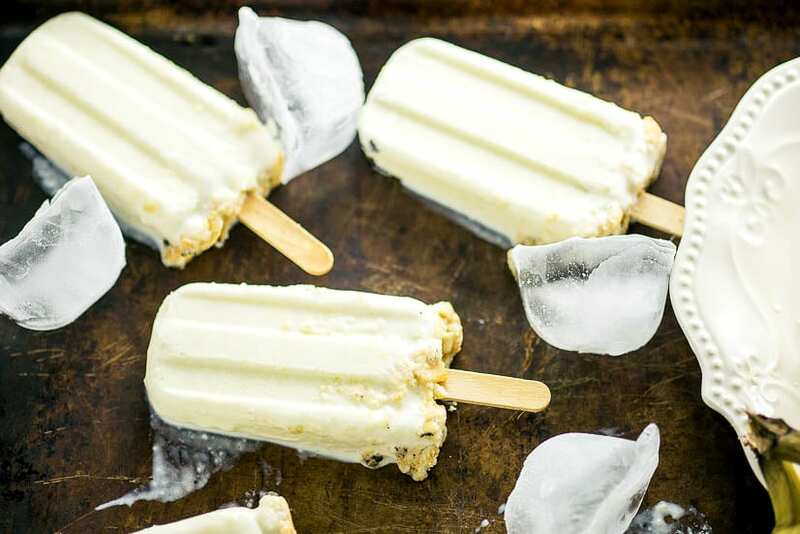 They were seriously so good, and I want to share a pie-inspired popsicle recipe with you today that I know you will LOVE. Especially if you love banana cream pie as much as me! 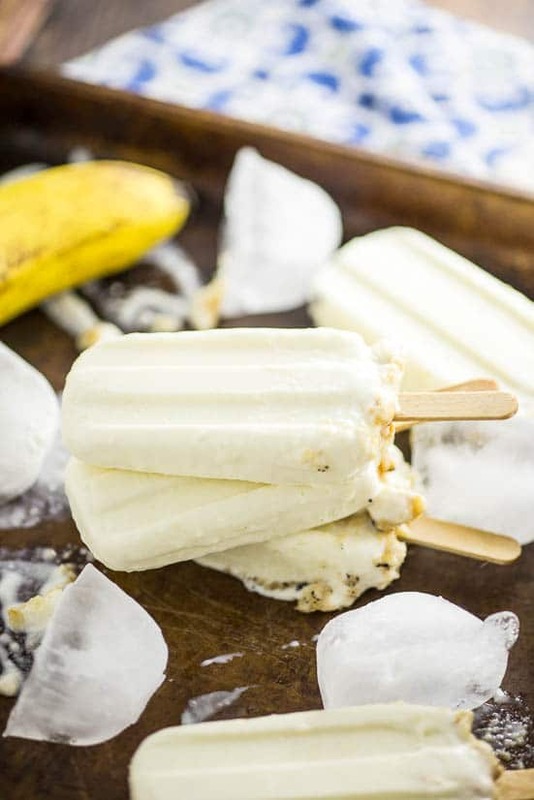 To make your own Banana Cream Pie Popsicles, you’ll need a Marie Callender’s Banana Cream Pie, still frozen with the almonds removed. Plus you’ll also need some milk, crushed vanilla wafers, a blender or food processor, popsicle mold, and popsicle sticks. I have this popsicle mold from Amazon which worked great. And I also used this food processor, also from Amazon, which I love and have used religiously (and a little excessively) for the past 5 years. If you don’t have a food processor, get one. You will love it. They’re cheap, they’re easy to use, but mostly, they make your life SO MUCH EASIER. Seriously. Anyway…. 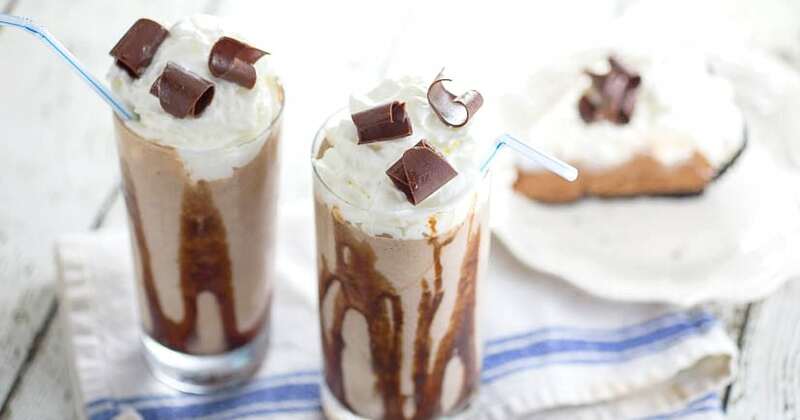 Basically, all you need to do to make these is stick 2 slices of pie (chopped up a little) into the food processor or blender along with the milk and process until its smooth. 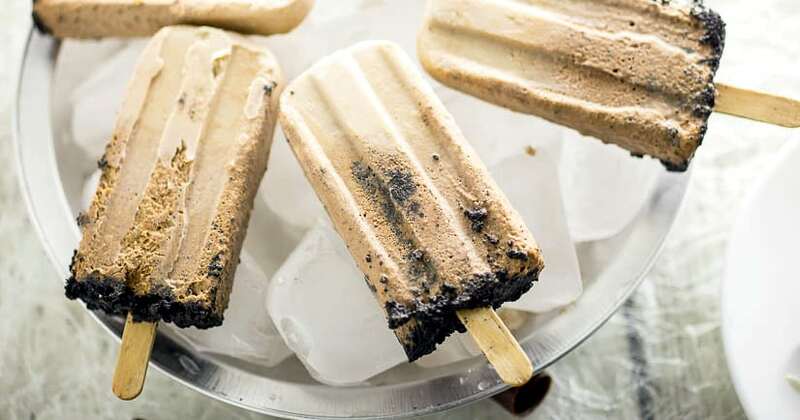 Then just pour the mixture into your popsicle mold and sprinkle the crushed vanilla wafers on top (this will add a little yummy sweet crunch to your popsicle but it also prevents the top of the mold from freezing to the popsicle). To crush your vanilla wafers, you can either throw a handful or two into your clean, dry, food processor or throw some in a sealed baggy and go to town with a rolling pin or heavy frying pan. When all of the popsicle ingredients are in the mold, place the lid on top and slip in the popsicle sticks. Freeze for at least 2 hours, or until frozen solid. 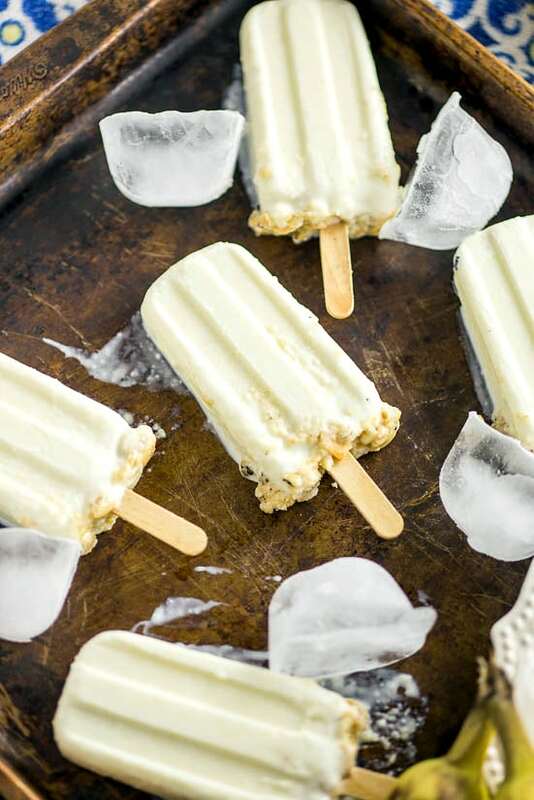 To release your Banana Cream Pie Popsicles from the mold, you can run them under some warm water to loosen them up a bit. Then you can eat right away, or wrap them in individual sandwich bags and place them back in the freezer until you’re ready for your treat. Now. Who’s ready for some popsicles?! Cut slices of pie into smaller chunks (about 4 pieces each), and place in food processor or blender. Add remaining liquid (milk and/or pineapple juice) to the processor and mix until smooth and creamy. Pour mixture into a popsicle mold, leaving about a half-inch empty on top. Sprinkle vanilla wafer crumbs on the top of each mold. Place a stick in each hole, and freeze for at least 2 hours, or until frozen solid. 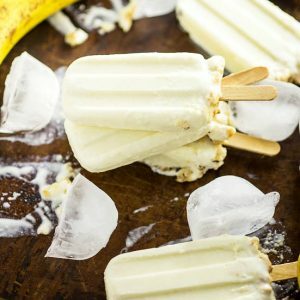 Did you like this Banana Cream Pie Popsicles Recipe? 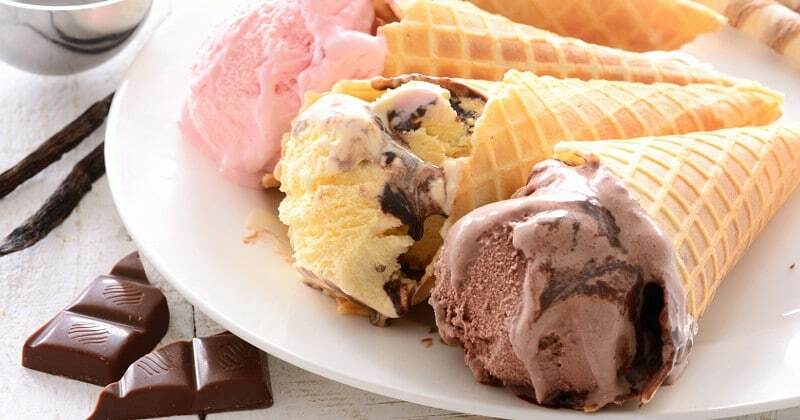 Find more on my Desserts and Summer Days boards on Pinterest!